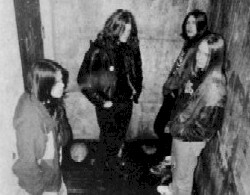 Old Funeral was one of the first bands to form in the Norwegian extreme metal scene in 1989. Though notable for containing three famous Norwegian black metal musicians: Varg from Burzum, Abbath from Immortal, and Jorn from Amputation. None of these members were in the band at the same time. Band dissolved in 1992. Recorded in Grieghallen Studios. Pro printed four panel covers on glossy paper. Has a thanks list and band photo. Nothing on back. 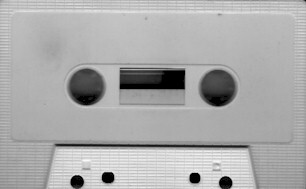 Tapes were on studio tapes, usually white.